HEY YO! 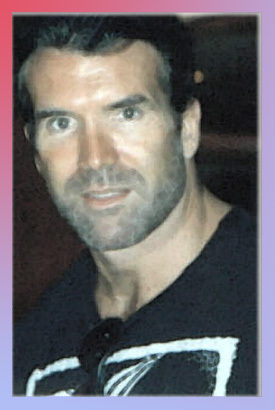 Scott Hall's Favorite thing to say. But this superstar does more then talk he can beat you down or as he would say carve you up..He is tall dark and very handsome ..So let hear it "Survey says..... One more for the good guys " Hall captured his first title with tag team partner Curt Henning, as the pair won the AWA tag team titles in 1986. Five years later, Hall enjoyed his first taste of individual gold, when he grabbed WWC Caribbean Heavyweight in 1991. In 1993, he defeated Rick Martell to earn the four WWE Intercontinental reigns. He would lose his first Intercontinental title reign in April of 1994, only to earn the belt back in August of that year. In 1995, Hall defeated Bill Dundee to earn the USWA Unified World Heavyweight Championship. He then followed up that success by earning his third WWF Intercontinental with a defeat of Jeff Jarrett. After losing the title to Jarrett three days later, he capped 1995 with his fourth and final WWF Intercontinental title reign, earning the strap with a defeat of Dean Douglas. After sliding to WCW in the fall of 1996, Hall enjoyed success with partner and lifelong friend Nash, as the pair earned the WCW tag team championships in 1996 and held them for nearly a year. They then added two more title reigns to their collection, grabbing the belts in January and February of 1998. After the N.W.O. split in half in the spring of 1998, Hall teamed with the Big Show in July to earn his third tag team title reign of that year. In February of 1999, Hall enjoyed his first individual success in four years as he defeated Roddy Piper to earn the WCW United States Heavyweight Championship. After that championship was vacated, Hall won the title back in a four corners match in November of 1999. After vacating that championship once again, Hall earned his final singles title by grabbing the WCW Television title on November 21, 1999. Eight days later, Hall turned Riddick Bowe and dropped the belt into the trash can. On December 13, Hall reunited with Nash to give the Outsiders their fourth WCW Tag team title reign, as the pair defeated Bret Hart and Bill Goldberg. The tag team title would turn out to be Hall’s final taste of gold, capping his title numbers at nine individual championship reigns and six tag team championship reigns. Hall was soon followed by Nash and the character turn of a then squeaky clean Hogan, which vaulted the WCW ahead of the WWE in the television ratings for nearly two years. “With his one appearance, he made WCW a winning organization. Hall is without a doubt one of the most talented and charismatic wrestlers ever to grace the squared circle. 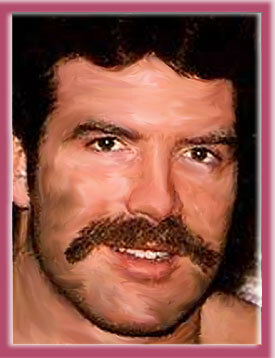 Scott Hall is one of the greatest pro wrestlers aka sports entertainer's of all time. - In the AWA, Hall quickly formed a tag team with Curt Henning. On January 18, 1986, the duo defeated Steve Regal and Jim Garvin for the AWA World Tag Team title in Albuquerque, NM. - As a singles wrestler, Hall was managed by Diamond Dallas Page. - When the AWA folded in 1990, Hall wrestled briefly for Tennessee's CWA, before joining WCW in 1991. He was still managed by Page, and formed a stable that included Vinnie Vegas (Kevin Nash) and Scotty Flamingo (Raven). - On March 3, 1991, Hall defeated Miguelito Perez for the WWC (World Wrestling Council) Caribbean title in Cabo Rojo, Puerto Rico. - Although he earned PPV wins over Tom Zenk and Tommy Rich, he never got over with the fans, and in 1992, Hall signed with the WWF, a move that would drastically change his career. 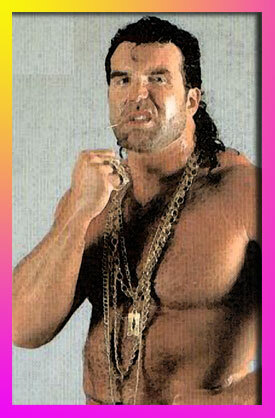 - Hall became Razor Ramon, a gimmick invented by Vince McMahon. - Bobby Heenan became Razor’s manager, in a stable with WWF champion Ric Flair. - Ramon defeated Bob Backlund at Wrestlemania IX. - Ramon defeated Ted DiBiase at Summerslam ’93, which turned out to be DiBiase’s last match in the United States. - On September 27, 1993, Ramon won a battle royal in New Haven, CT to claim the vacated Intercontinental title. - Ramon successfully defended the IC title against Irwin R. Schyster (Mike Rotunda) at the 1994 Royal Rumble. - In one of the greatest WWF matches of all time, Ramon defeated Shawn Michaels in a ladder match that headlined Wrestlemania X. - Diesel (Nash) pinned Ramon for the IC title in April 1994. Ramon regained the title at Summerslam ’94 in Chicago, IL. - Despite dropping the IC title to Jeff Jarrett at Wrestlemania XI, Ramon regained the title on May 19, 1995, in Montreal. - In the spring of 1995, Ramon captured the USWA title. - On October 22, 1995, Ramon pinned Dean (Shane) Douglas in Winnipeg to capture his fourth IC title. - In early 1996, Ramon feuded with the ever strange Goldust. - McMahon suspended Ramon when his drug and alcohol addictions were becoming more apparent. Ramon's match with Goldust scheduled for Wrestlemania was also canceled. - Eric Bischoff offered Hall a huge contract to jump to WCW, an offer McMahon refused to match with Hall in the condition he was in. - On May 27, 1996, Hall made his "Nitro" debut, and announced, "we're taking over.” A reference to the soon to be assembled New World Order. - Hall and Nash completed the formation of the New World Order at the Bash at the Beach ’96, when “Hollywood” Hogan turned heel. - The team of Hall and Nash became known as “The Outsiders.” They recruited Ted DiBiase, The Giant, Buff Bagwell, Syxx, and of course, Eric Bischoff to the NWO. - At the '96 Halloween Havoc, Hall and Nash won the WCW World Tag Team title for the first time, from Harlem Heat. They held the belts for over a year, but lost many title matches to the Steiners. Every time they'd lose, Bischoff would "use his power" to allow them to keep the belts anyway. - At World War III ’97, Hall won the three ring sixty-man battle royal to earn a WCW title shot, however, Hogan took his spot again Sting at Superbrawl. - Soon after, Hall took some time off to rehab again. At this time, Nash broke away from the original NWO to form his own faction, the Wolfpac. - Hall returned at Slamboree to turn on Nash, and remain loyal to NWO "Hollywood." - Hall helped Nash win the WCW title at Starrcade '98 when he used a cattle prod to shock Goldberg, allowing Nash to gain the pin fall and title. - At the 1999 Superbrawl, Hall pinned Roddy Piper for the United States title. - On the November 8, 1999 episode of "Nitro," Hall captured the U.S. title in a four-way ladder match. - Hall defeated Booker T at the 1999 Mayhem in Toronto, Ontario, Canada. - Hall was involved in the main event at Superbrawl 2000, pitting Sid, Jarrett, and Himself in a three way match for the WCW title. In the match, Hall suffered a neck injury. - On March 27, 2000, Hall underwent neck surgery. - WCW released Hall on October 17, 2000, dumping his hefty annual $1.625 million salary. - ECW booked Hall for their November 10th and 11th shows in New York. - Hall was booked by New Japan Pro Wrestling in March 2001. - On May 5, 2001, Hall and Dusty Rhodes defeated Larry Zbyszko and Steve Lawler on a Turnbuckle Championship Wrestling (TCW) show in Dothan, Alabama. - After the show, Hall returned to New Japan. - On January 18, 2002, Hall signed a two year contract with the WWF. - At Backlash '02 in Kansas City, MO, Hall defeated Bradshaw. - A day after the May 6, 2002 edition of "Raw," Hall was released by WWE.